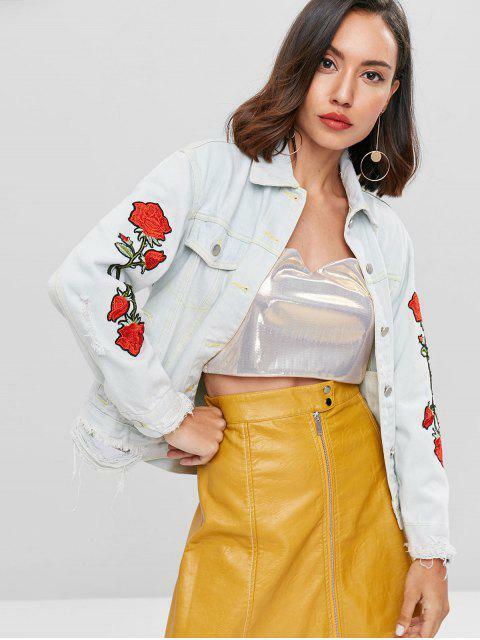 [55% OFF] 2019 Rose Patch Grunge Denim Trucker Jacket In BABY BLUE | ZAFUL .. 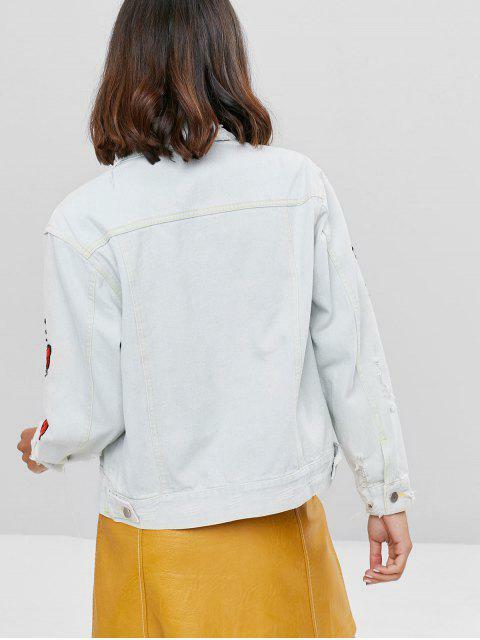 Play up grunge-chic with our destroyed denim jacket. 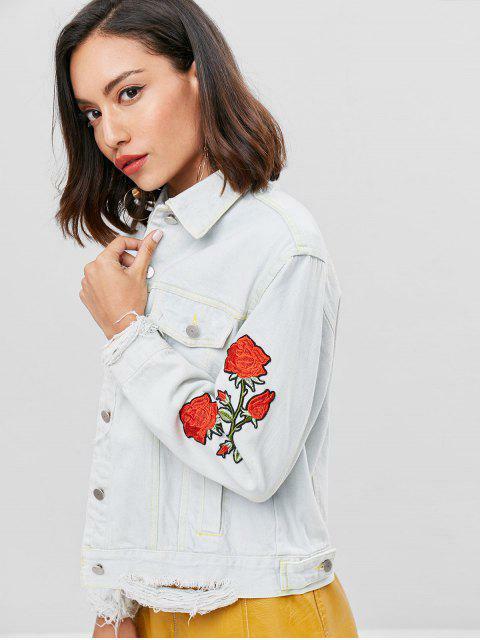 It features a relaxed fit, a classic point collar, a button through closure, faux flap pockets at the chest, contrasting stitching, functional side pockets, and long sleeves with buttoned cuffs and embroidered rose patches.